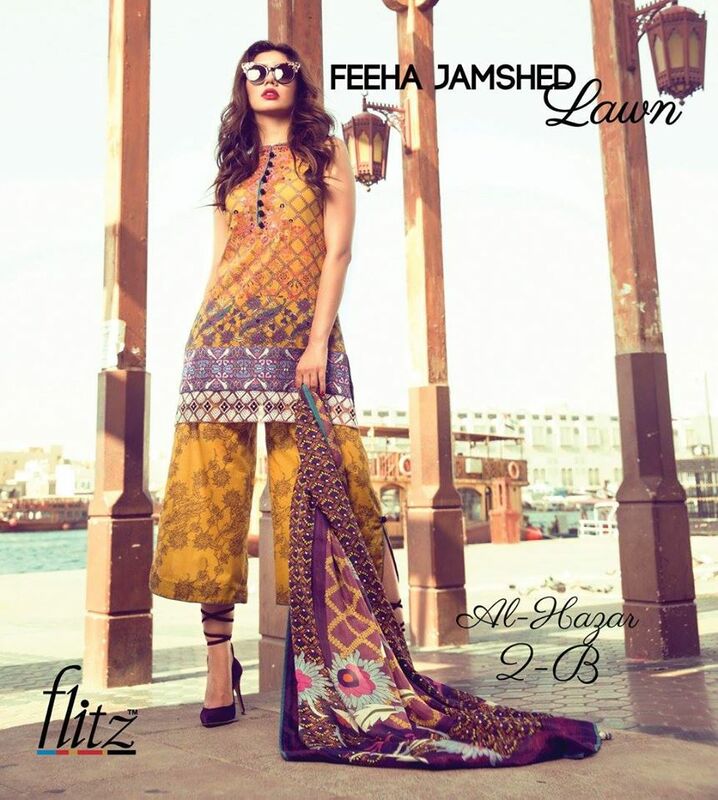 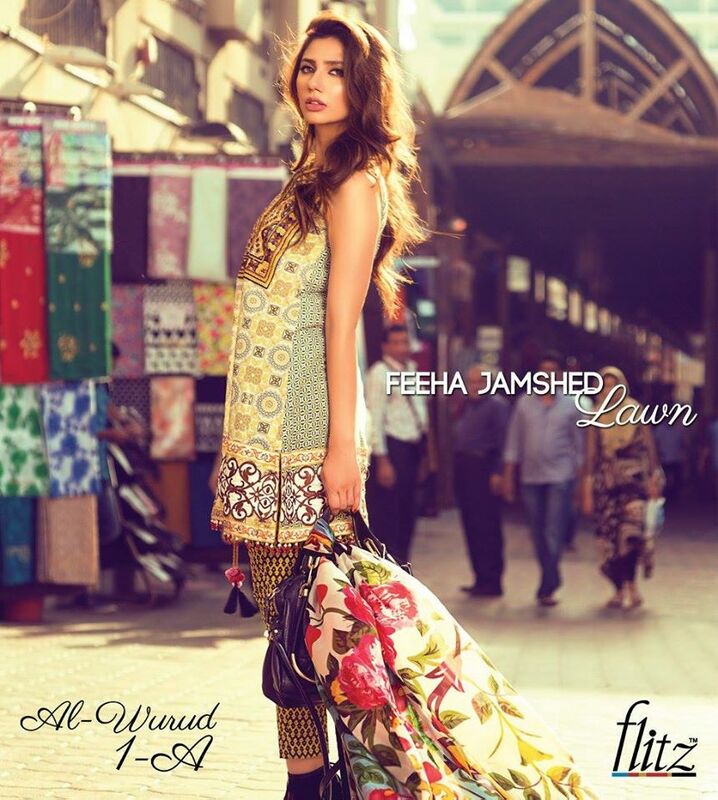 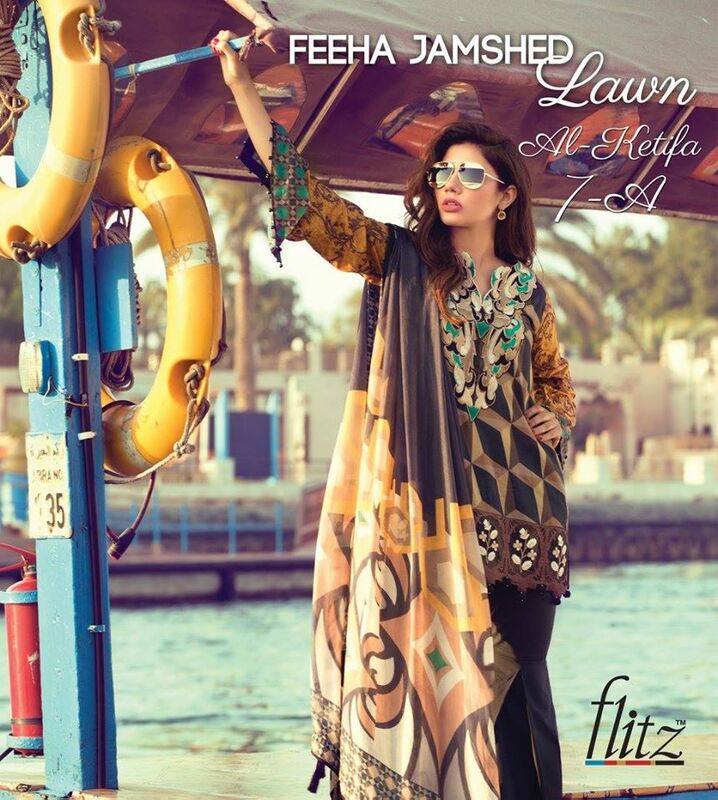 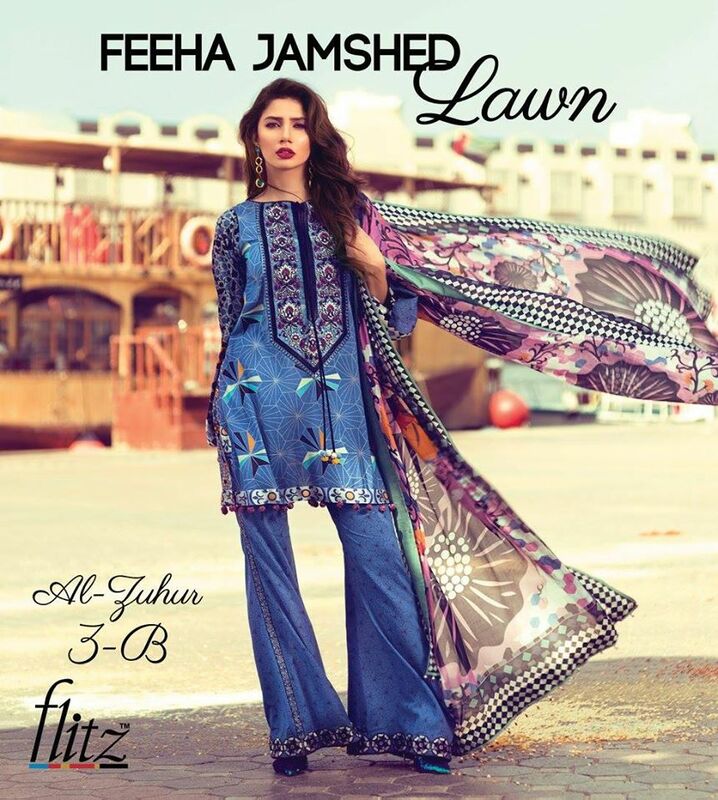 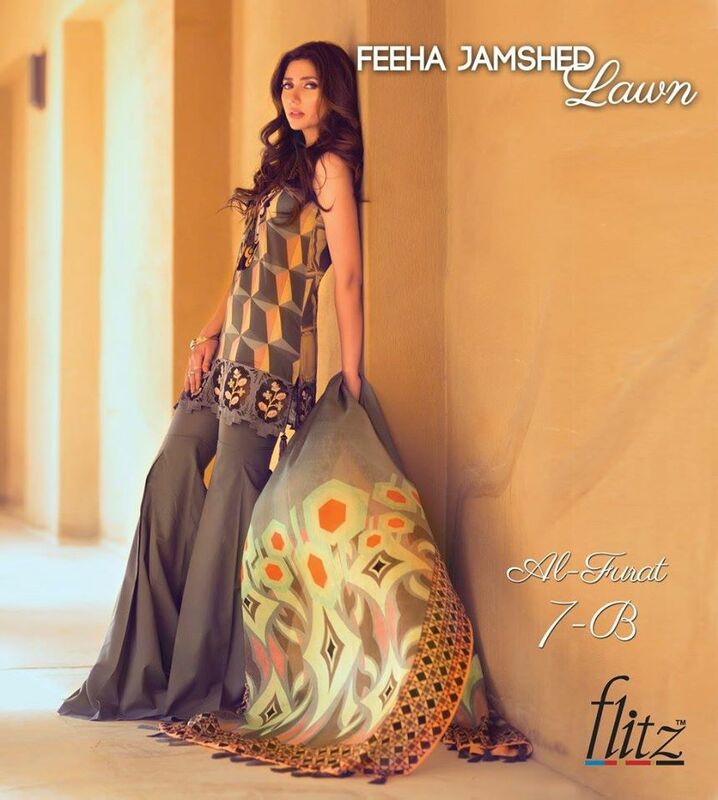 Mahira Khan has featured in the latest Feeha Jamshed’s lawn collection titled Florance of Arabia. 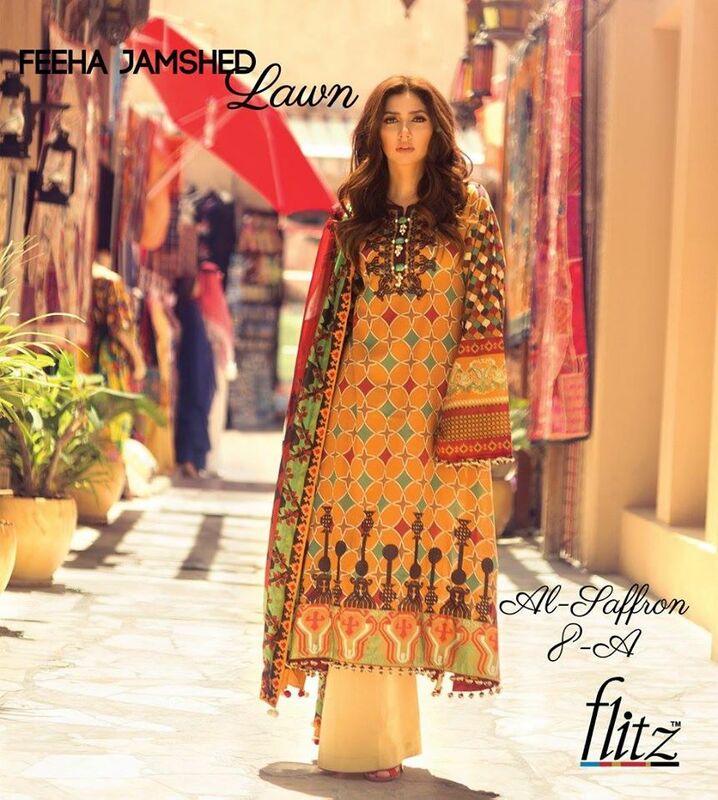 Priced between PKR 6500 – PKR 7500; the collection is made available nationwide. 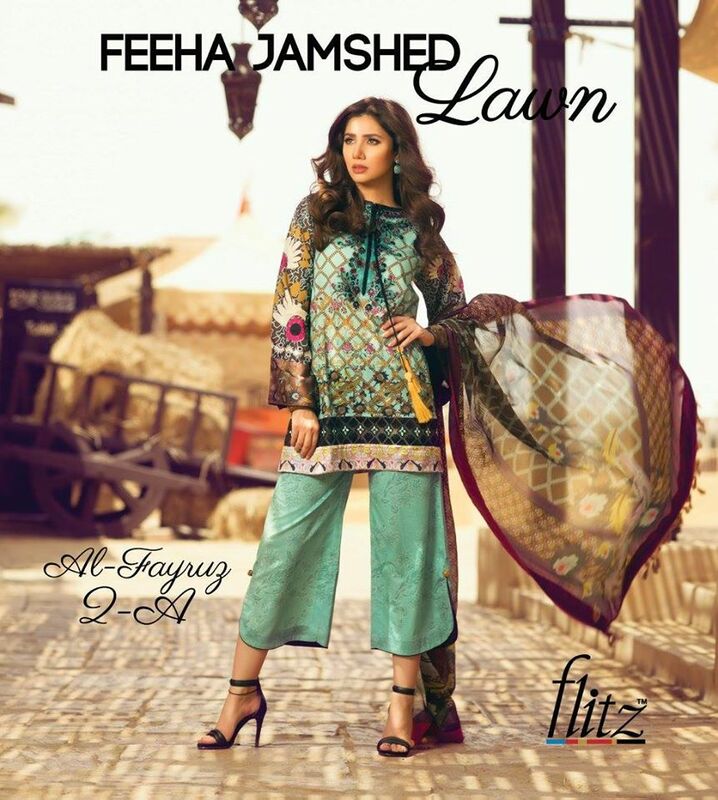 The campaign features the uber-gorgeous Mahira Khan in sun-kissed make-up and exotic lawn prints. 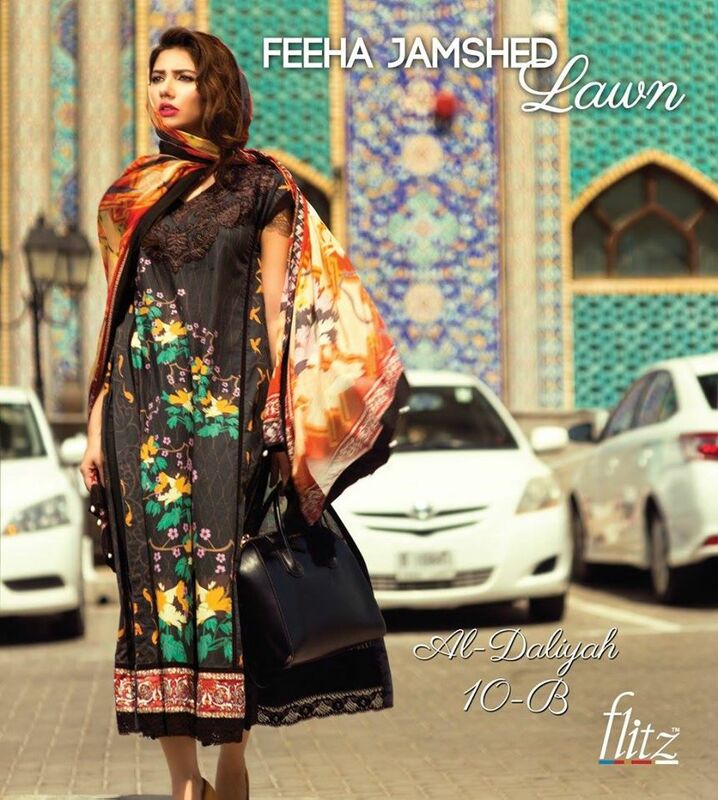 Feeha Jamshed’s Florence of Arabia will showcase 10 distinct designs in 2 colours. 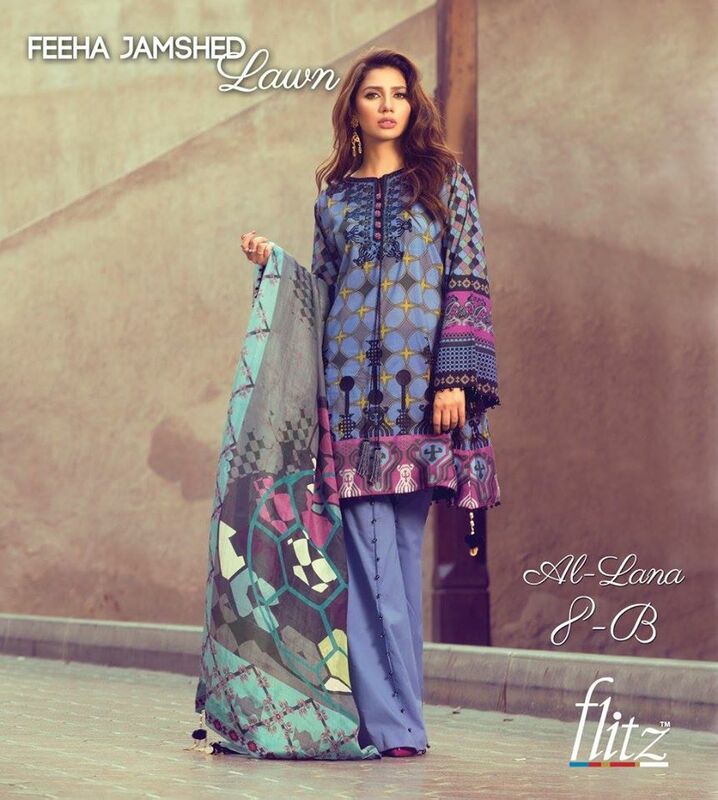 There is intricate embroidery on the neckline and borders with accented fabrics like silk, chiffon, and organza. 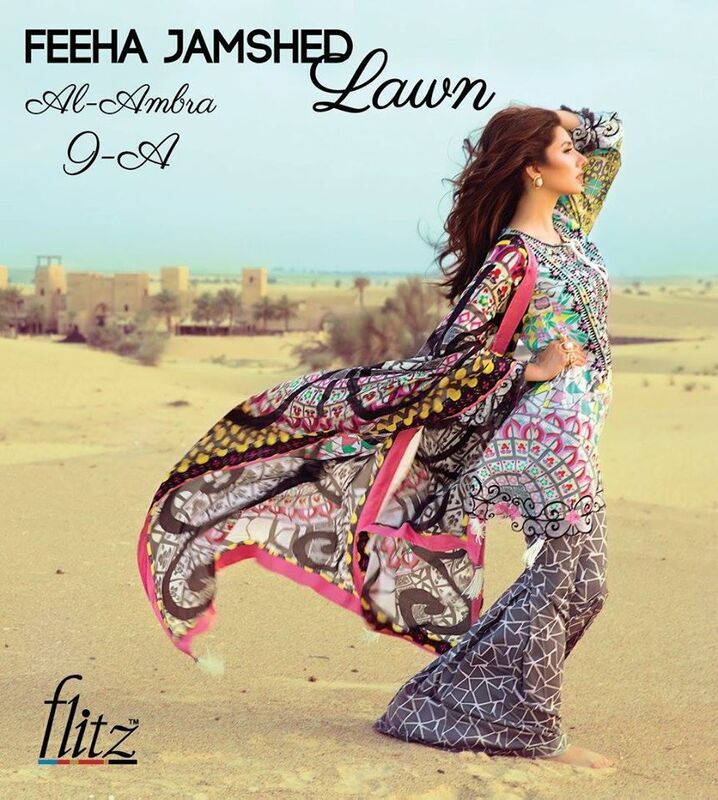 “I am excited about my lawn debut. 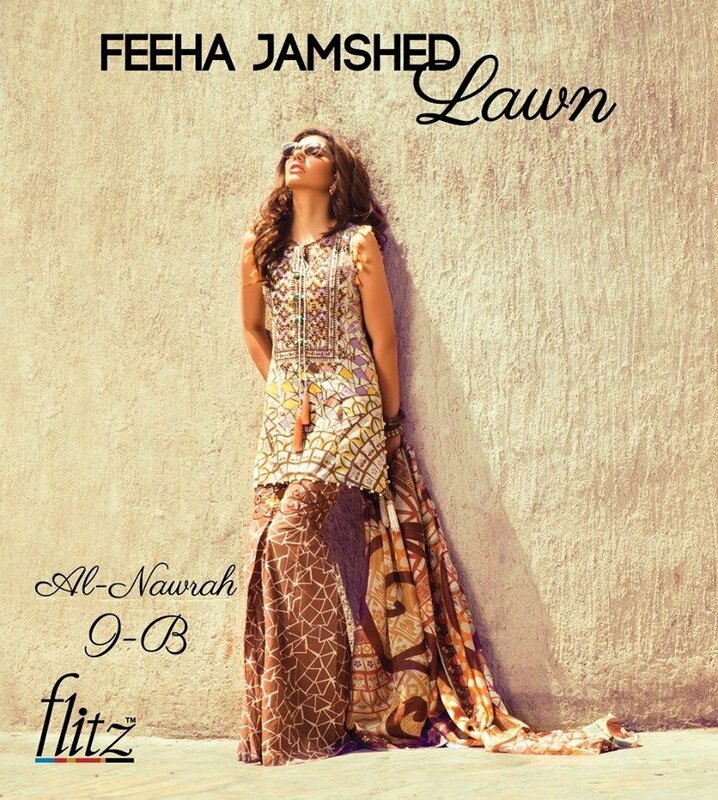 True to my ethos as a designer, for Florence of Arabia, I have drawn inspiration from some of life and nature’s most simple silhouettes and shapes: be it the small cracks that appear on a wall or how shadows play out – a very art meets lawn approach if you will,” Feeha Jamshed said while speaking about her lawn debut.